Save SAR 68 (29.69%) – Earn 15 Shukrans What is Shukran? Shukran is the Landmark Group’s award-winning loyalty programme in the Middle East, which allows you to earn Shukrans when you shop any of our brands. Dreamy and beautiful, this comforter is enchanting and everything that your daughter will adore. 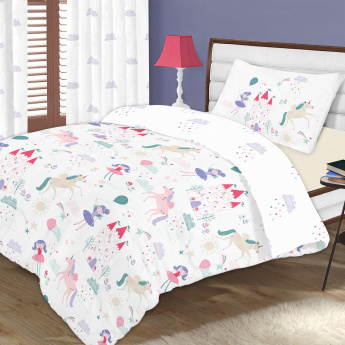 Made with a soft and skin-friendly material, this comforter set will lend your little one with unparalleled comfort. The comforter is reversible and comes with a matching pillow case.